Three rifle cartridges. The shell casing is normally made of brass with a recess at the head to accept the detonating primer. 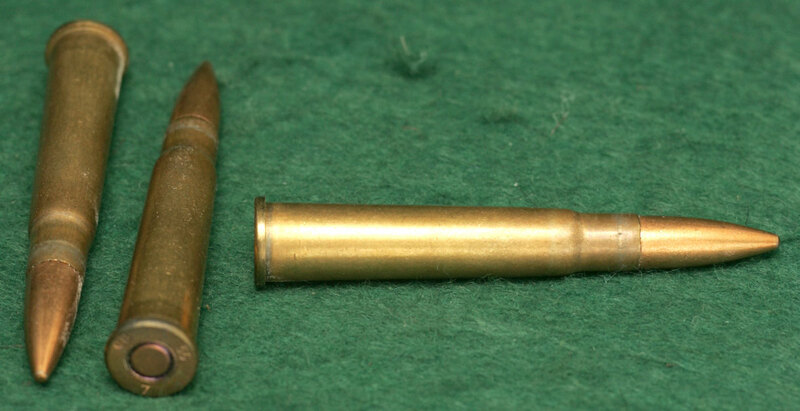 The bullet, normally with a core of lead, may be jacketed with copper, steel or other material. Two shotgun cartridges. On the left, with a paper case; on the right with a plastic case. And a traditional fibre over-powder wad. 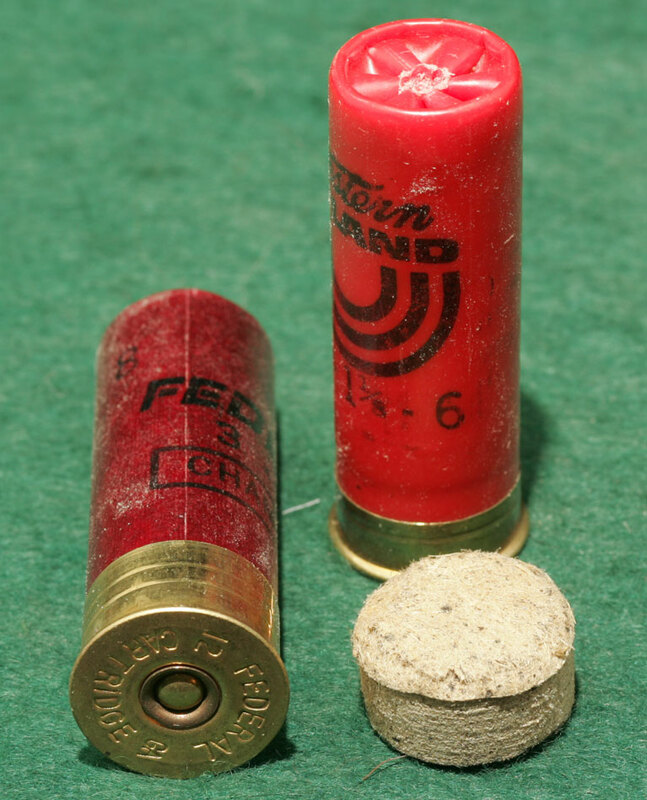 Cut-away of modern shotgun cartridge with plastic compression shot-cup wad. Cartridge - In its definition valid from circa 1870 to the present: a small, usually cylindrical package, containing a detonating primer, a powder charge, a load---either a single projectile for a rifle or a quantity of small pellets for a shotgun---and possibly some attendant wadding. The cartridge is placed into the breech of a firearm, comprising all required consumables for the firing of the weapon. Also, less specifically: Round or Shell.